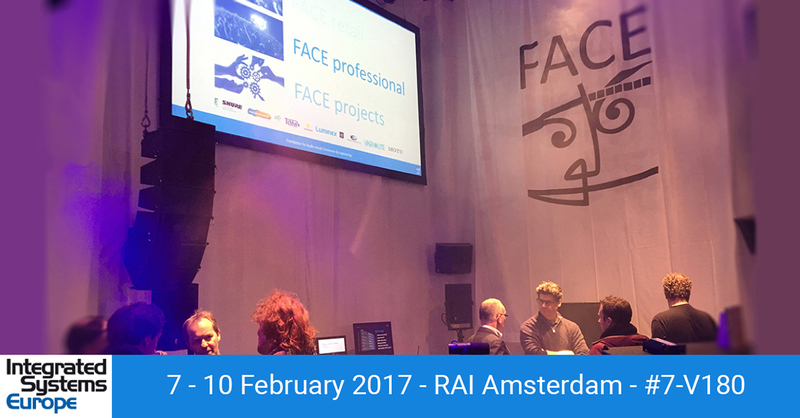 At February 21, 2017 we would like to invite you to get some demos of the brands we’re distributing in The Netherlands. We will show you the latest products of some high-quality brands like Vari-Lite, d3, Luminex, ETC, Radial and Alcons. From 7 till 10 February, we will invite you at our booth 7-V180 at the 14th edition of Integrated Systems Europe in Amsterdam RAI to show our products and give hands-on information by our experts. 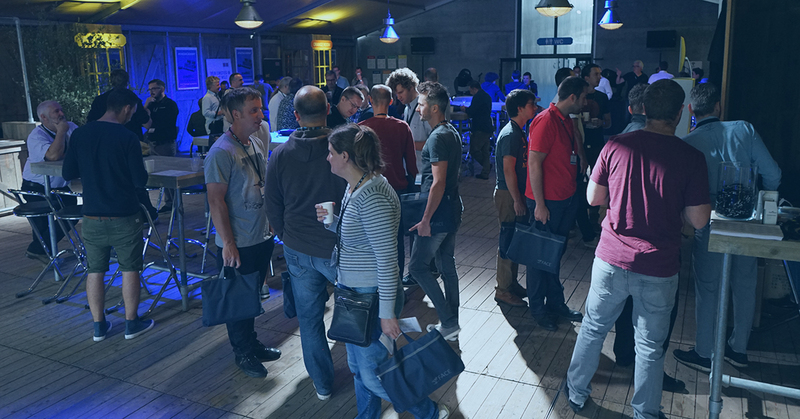 ISE is Europe’s biggest AV and systems integration show. MOTU s debuting three new audio interfaces with complementary digital audio I/O configurations, flexible routing, stand-alone mixing, AVB/TSN networking and connectivity to a host computer through class compliant, high-speed USB 2.0 (compatible with USB 3.0 and iOS). 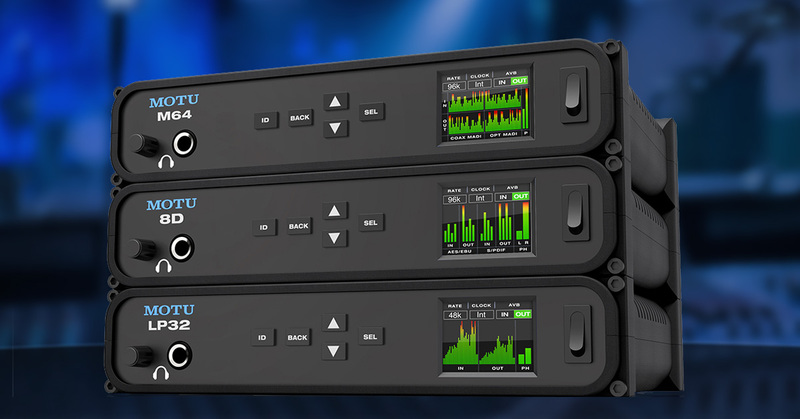 MOTU introduces two new high-end half-rack audio interfaces 624 and 8A. Both are Thunderbolt, USB3, AVB-equipped interfaces. The simplest way to think of the 624 is half of a 1248, and the 8A as half of a 16A — with the notable exception that these are the very first MOTU interfaces to support USB3. 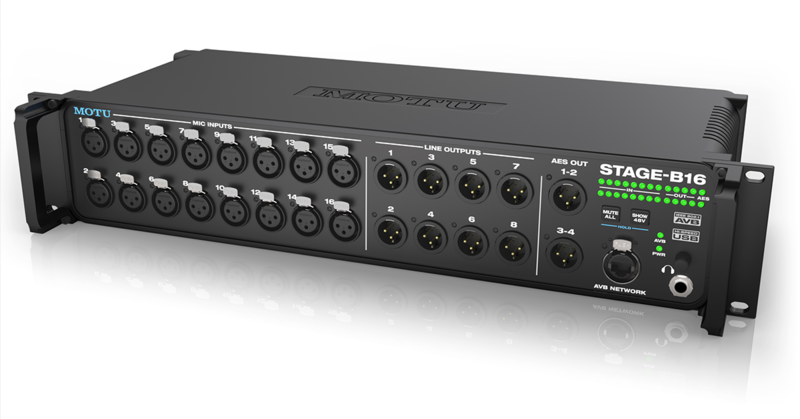 At Prolight + Sound 2016, MOTU announced a new Windows ASIO driver for its latest-generation audio interfaces, including the 1248, 16A, 8M and 112D. 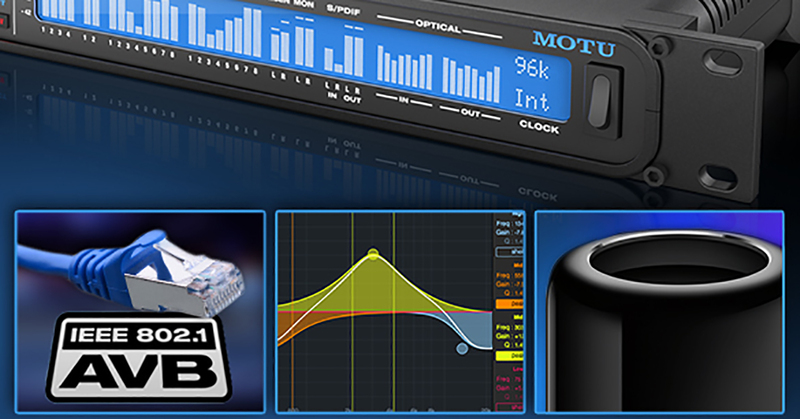 MOTU released a free firmware update for the 1248, 16A, 8M and other latest-generation audio interfaces that supports AVB/TSN Ethernet connection to a Mac® running OS X® El Capitan (10.11). 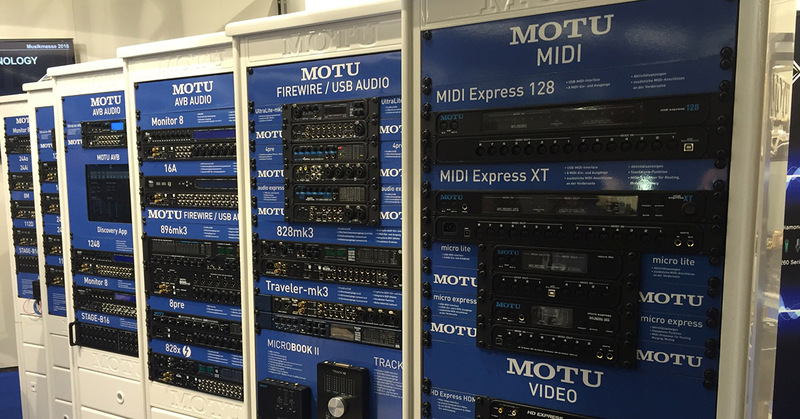 At Winter Namm 2016, MOTU announced significant new features to be added to the 1248, 8M, 16A and other latest-generation audio interfaces through a free, downloadable firmware upgrade for all users. 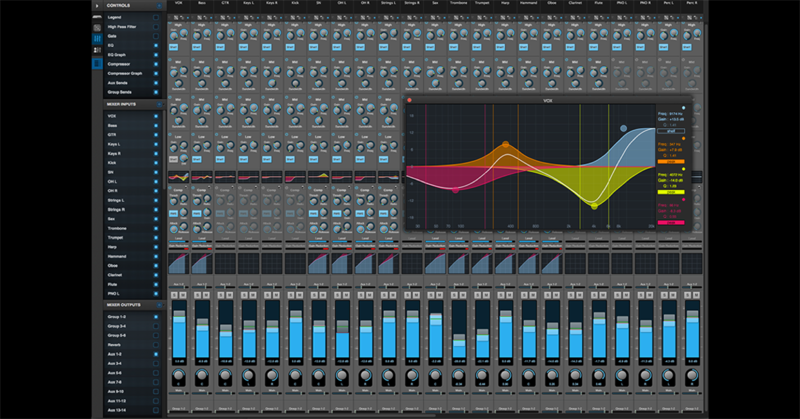 MOTU introduces version 9 of its popular DAW "Digital Performer. CAMBRIDGE, MA — Wednesday, February 18, 2015. 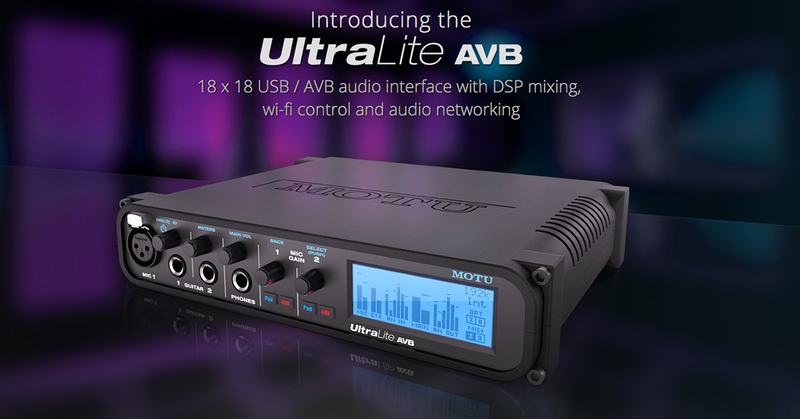 MOTU is now shipping the UltraLite AVB, a compact 18-input, 18-output audio interface with DSP mixing, wireless control, AVB audio networking and best-in-class analog audio quality for on-the-go mobile audio recording.